Police are set to ‘study’ fresh allegations by a life sentence prisoner that the body of Bangor murder victim Lisa Dorrian was buried in a sealed container at an illegal landfill site. Jimmy Seales – who is serving a minimum 15-year-term for the murder of Philip Strickland who died after being shot in the face at Ballydrain Road, near Comber in 2012 – told the Sunday Life that the remains of Ms Dorrian are buried in a landfill site in Ballygowan, Co Down. In the interview Mr Seales told the Sunday paper that Lisa’s body was put into a 40-gallon container and the lid welded shut before it was hidden in land. Police have said they would study the fresh allegations by Mr Seales. Detective Chief Inspector Justyn Galloway said: “Police will be studying the allegations contained in this report. “I would appeal to anyone who believes they have information about Lisa’s disappearance and murder to come forward and talk to us. “Despite the passage of time, it is not too late. Police inquiries are continuing. 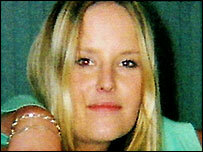 Lisa was last seen at a party on a Ballyhalbert caravan park in north Down in February 2005. The 25-year-old’s body has never been found despite extensive air, land and sea searches. Earlier this year, a reward of up to £5,000 was offered on Crimestoppers for information about her suspected murder. In 2012 detectives investigating her murder searched an area of farmland near Comber using specialist equipment.